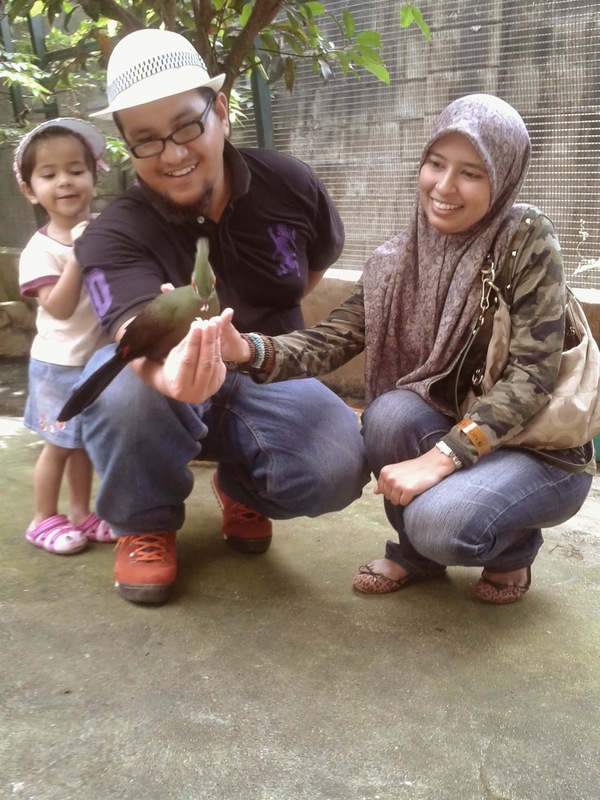 We went out to the zoo yesterday afternoon to get out and enjoy the beautiful weather. 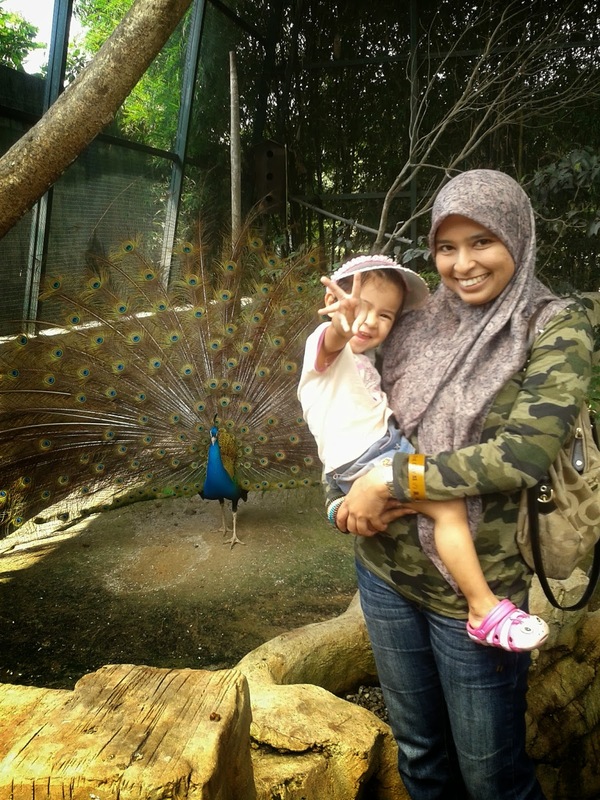 It was Aulia's second time going to the zoo since we went to the Night Safari in Singapore. 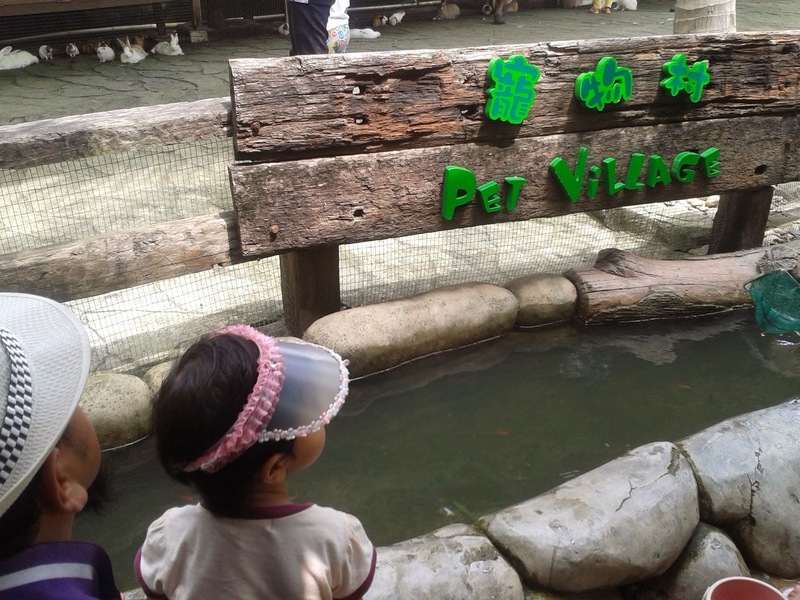 She thought it was the best place ever.. haha.. 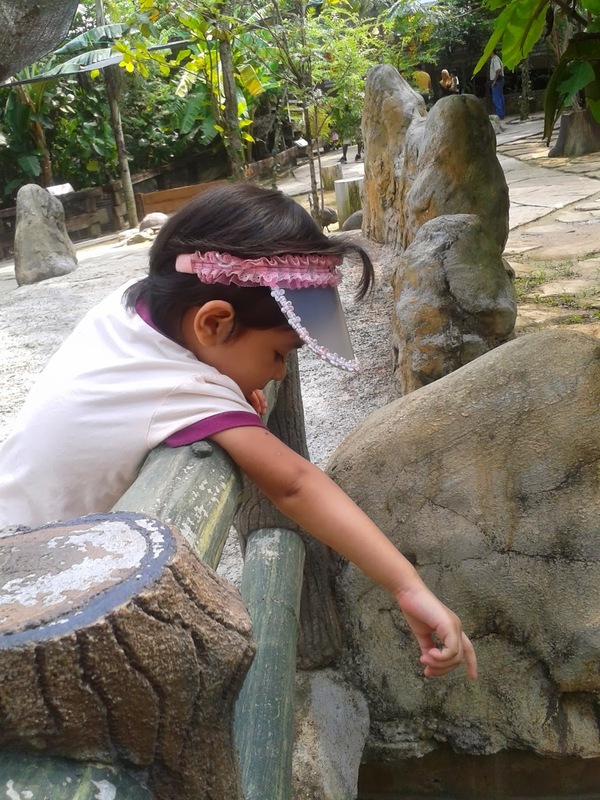 It took us about 45 minutes from home to Seri Kembangan. 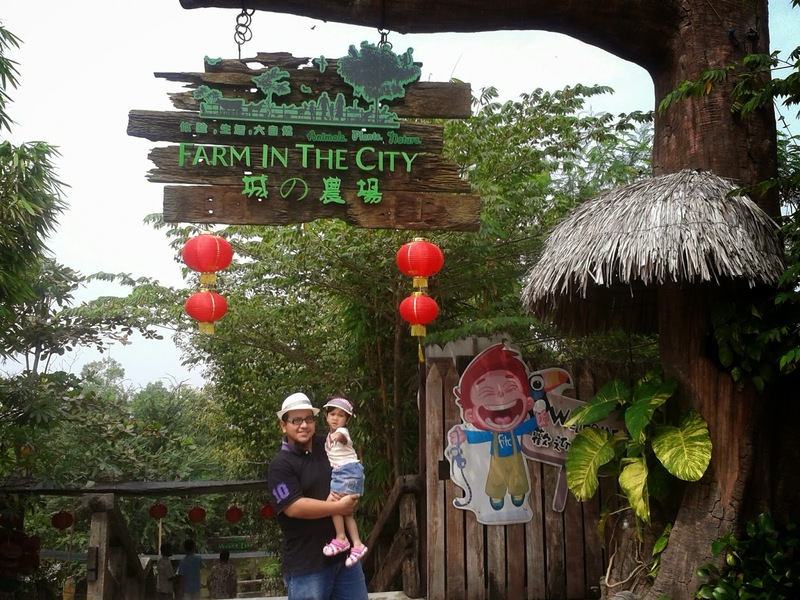 We bought tickets at the entrance and proceed to the Farm In The City. 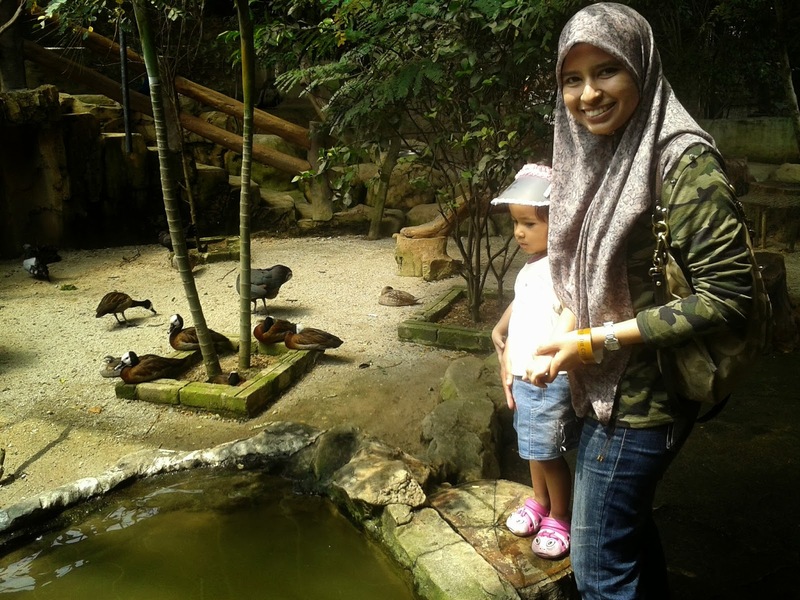 We had spent an awesome time in there and having close contact with so many animals as well as feed them. 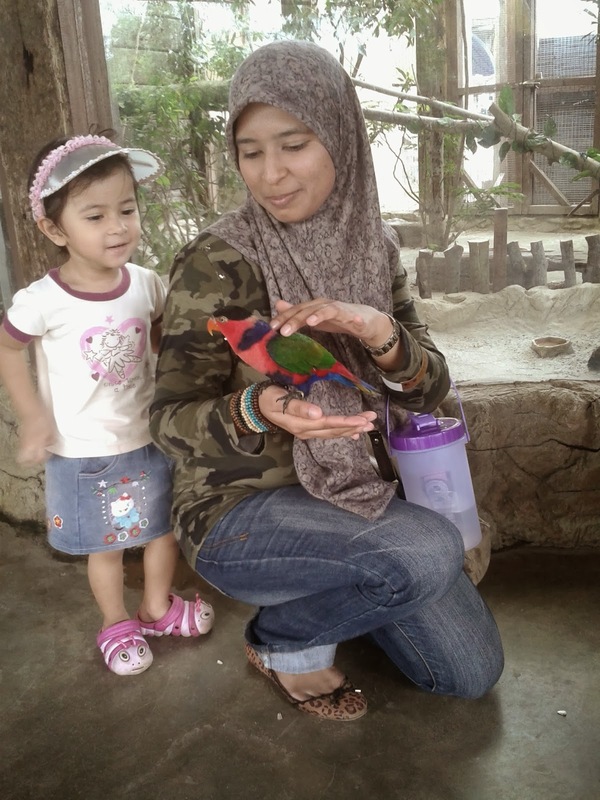 For your information, the admission fess for adult is RM30 and RM25 for child below 12 years (per person). 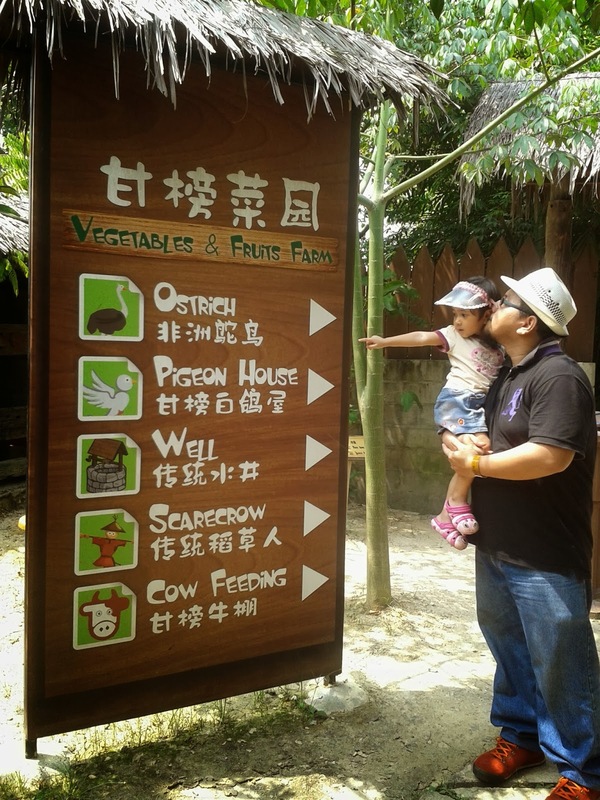 The entire park is divided into 12 sections: Mood's Lake (World of Ducks and Geese), Turtle and Tortoise Farm, Bird Aviary, Reptile Carven, Rabbit Farm, Pet Village, Jungle Walk, Vegetable and Fruit Farm, Longkang Fishing and Kampung Mahmood. 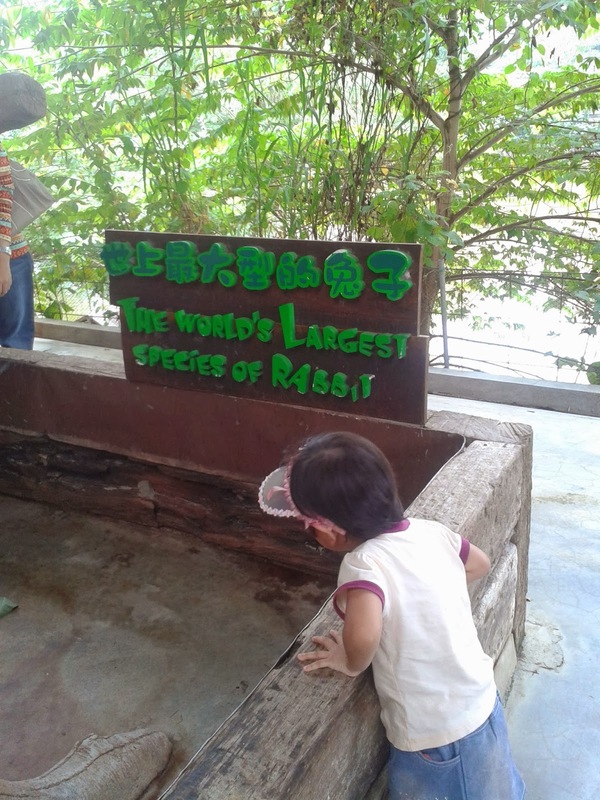 The park is completely free of cages where all animals are allowed to roam free except for wildlife. 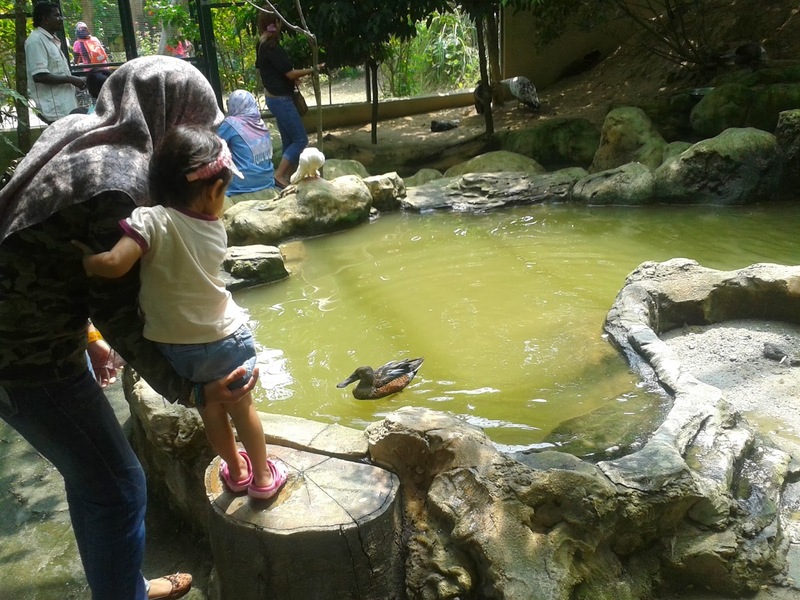 We watched the birds for a good 30 minutes...Aulia' enjoy chasing after the chicken and watching the ducks swim in the pond. 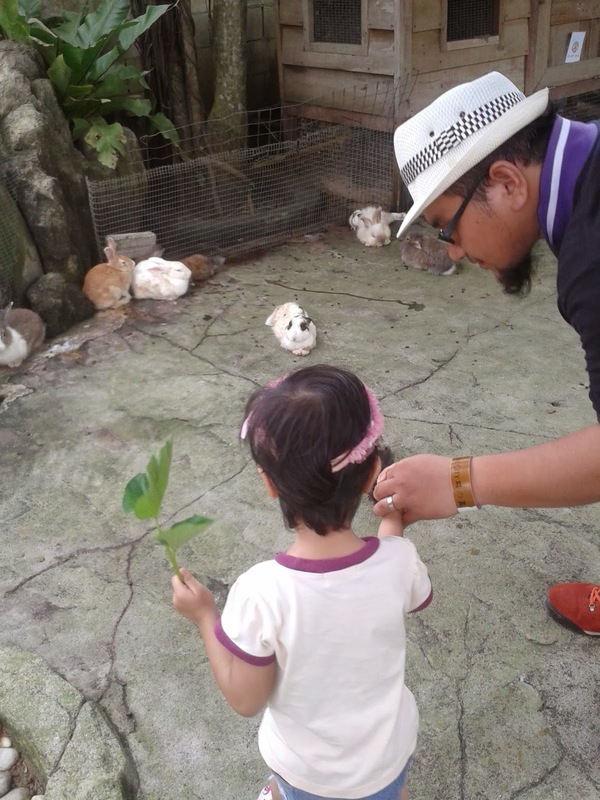 What I love most about this petting zoo is of course, the animals here are domesticated. 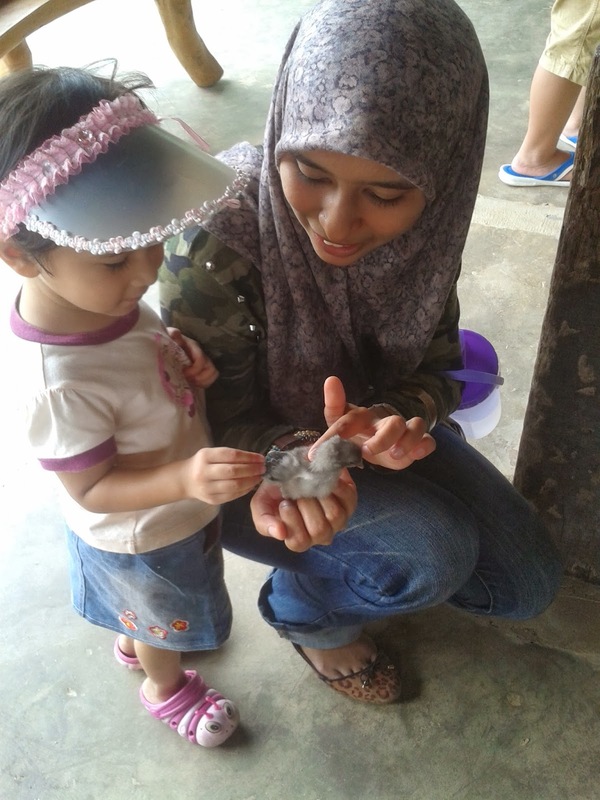 You can touch them and feed them, like we did. 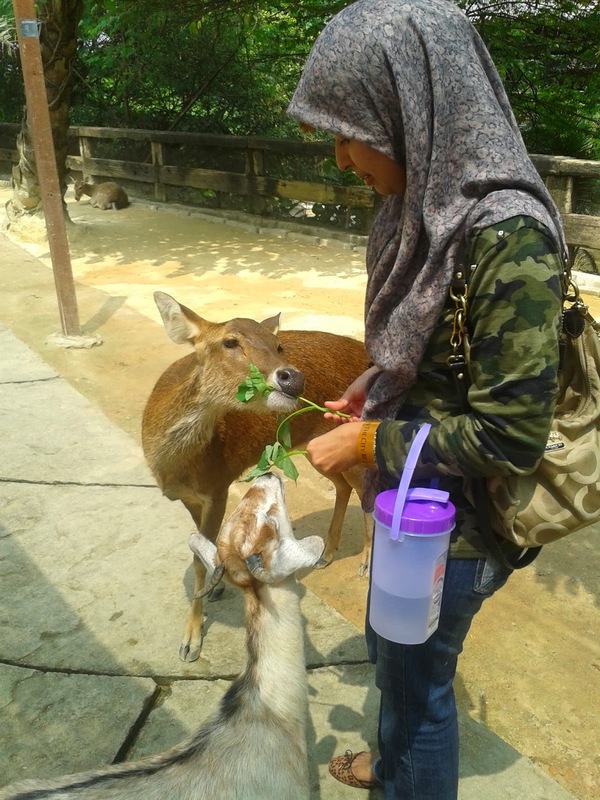 Petting Zoo has more than 100 species of exotic animals such as rarest White Crow, giant Tortoise, world smallest species of Crocodile, world largest species of Rabbit, world smallest species of Kangaroo and many more! The peacock behind us is so beautiful! 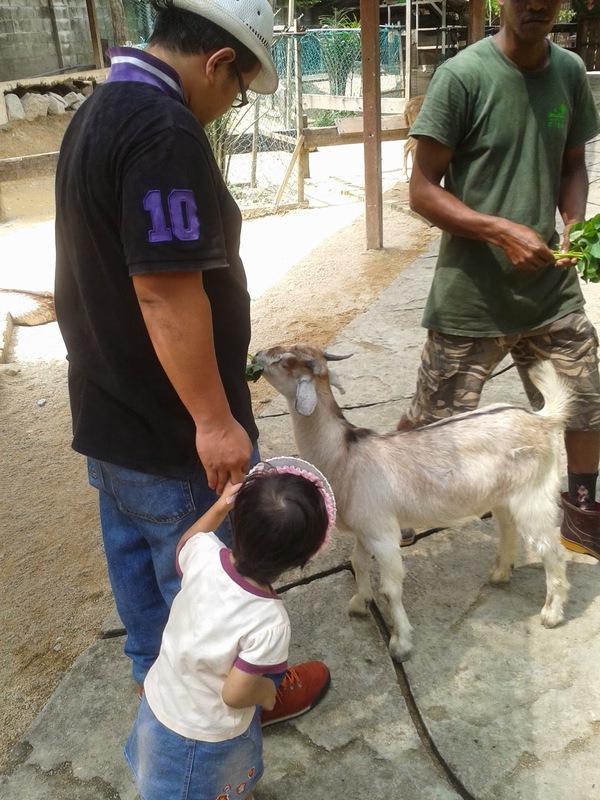 My husband and I enjoyed spending the day with Aulia' because we felt that she really enjoyed her visit to the petting zoo. The animals that we read about in books finally comes to life! 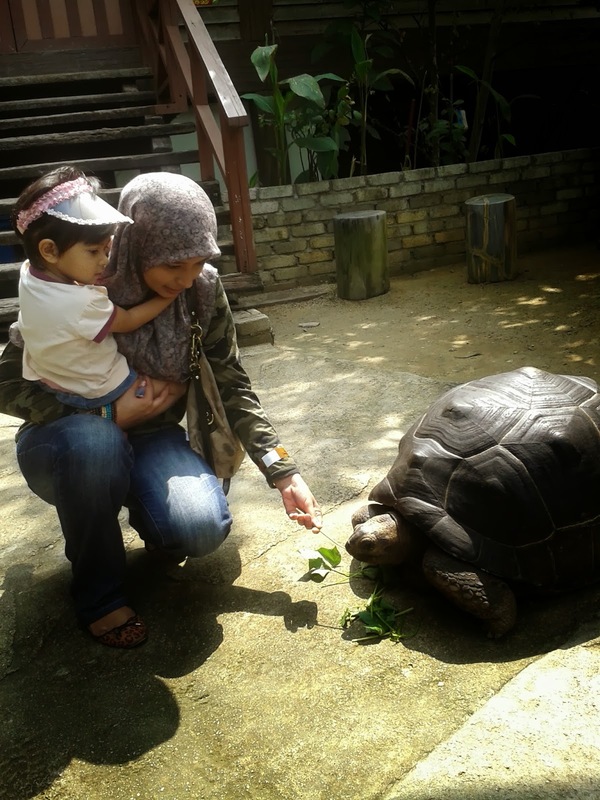 But of course, she's a bit scared with the big animals. 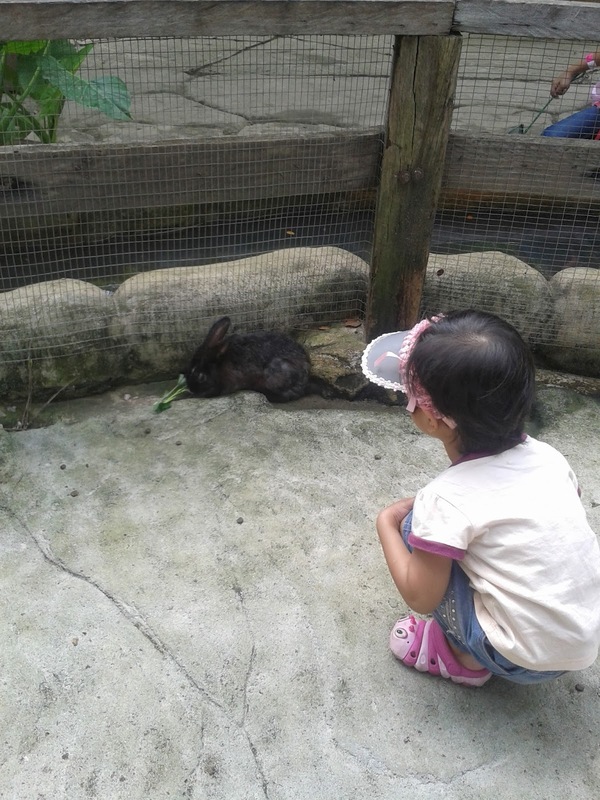 This is the first time she is big enough to walk around own her own and enjoy the exhibits. 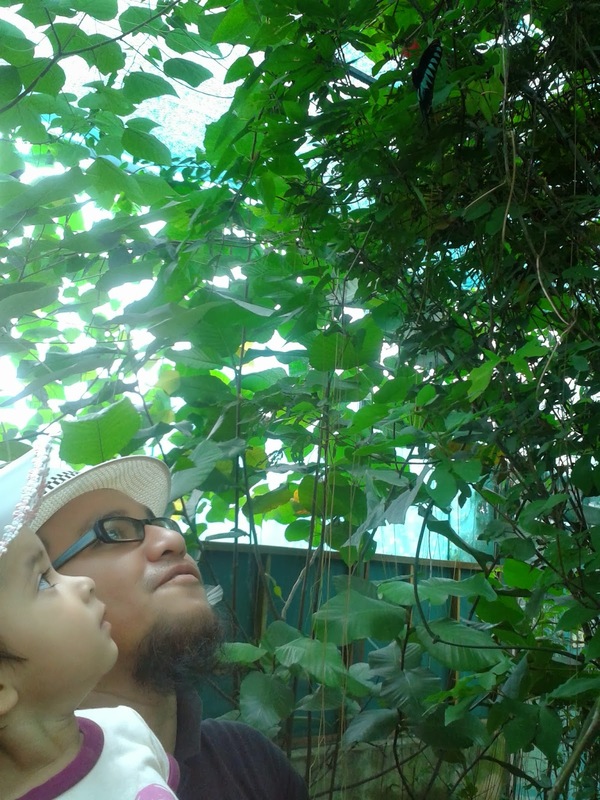 Whenever the bigger animals such as goats and reindeer came near us, she would stand close but eager to watch them. 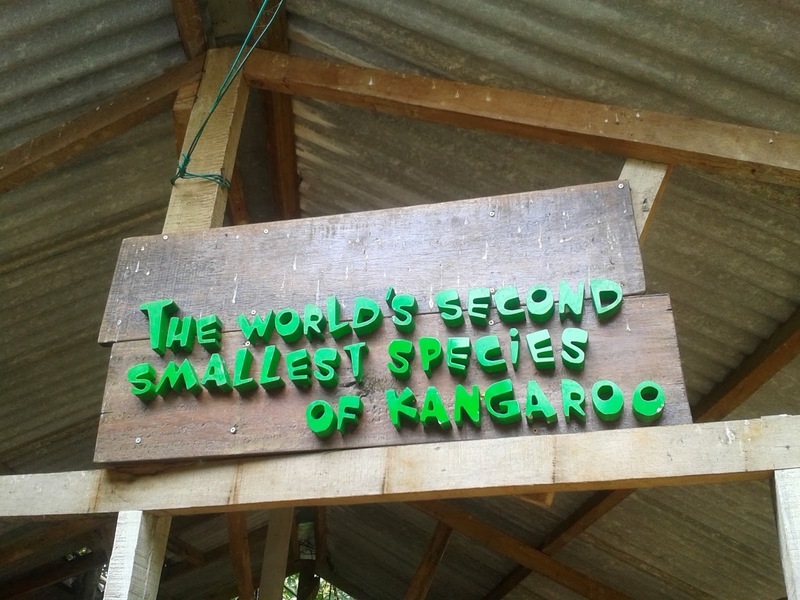 The world's second smallest species of kangaroo-Wallaby. 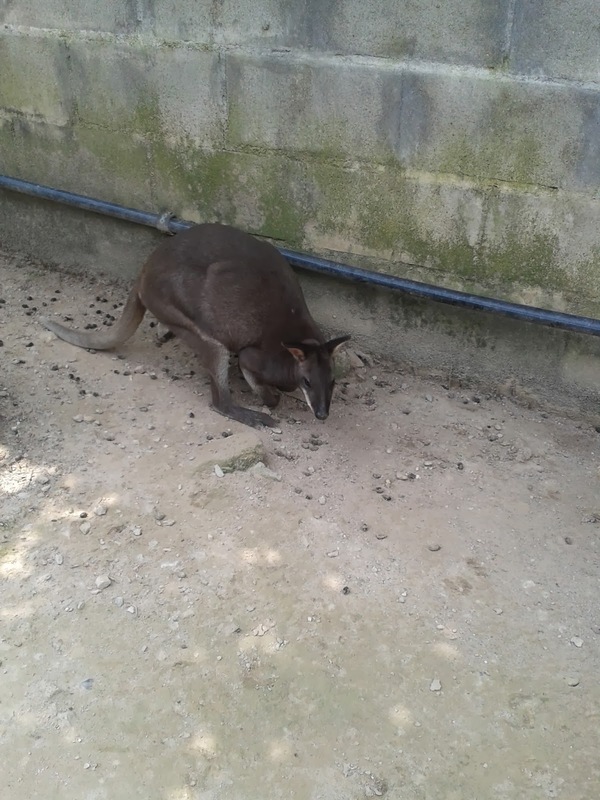 We saw Wallaby during our visit to Singapore's Night Safari. 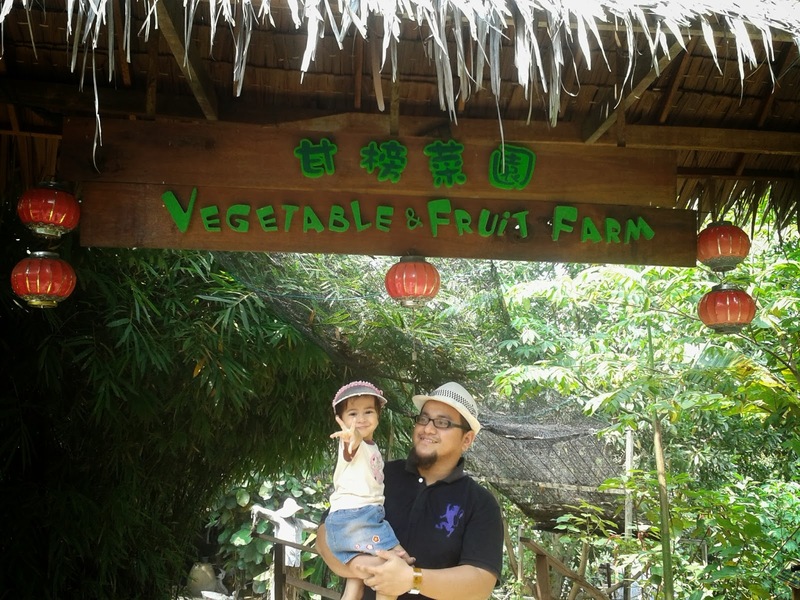 Orchard with more than 100 tropical fruit trees and plants at vegetables and fruits farm. 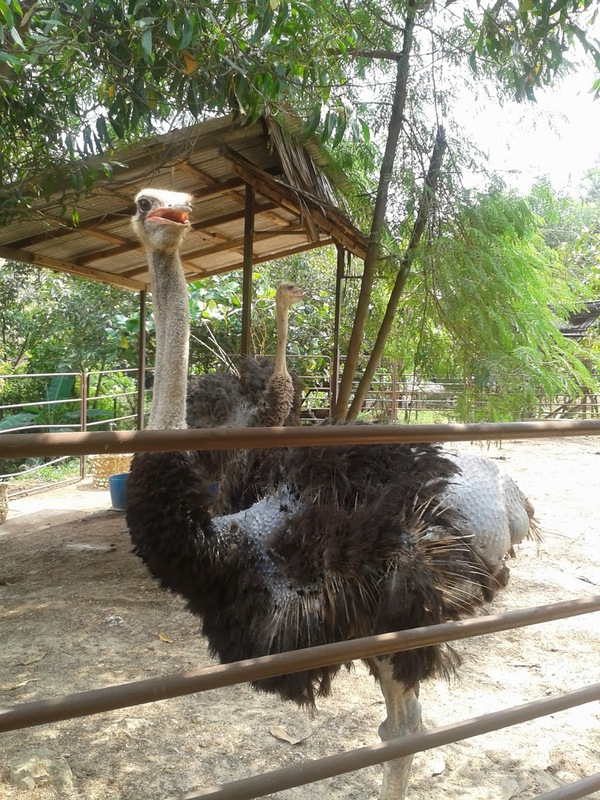 There were ostrich and cow too at this farm. 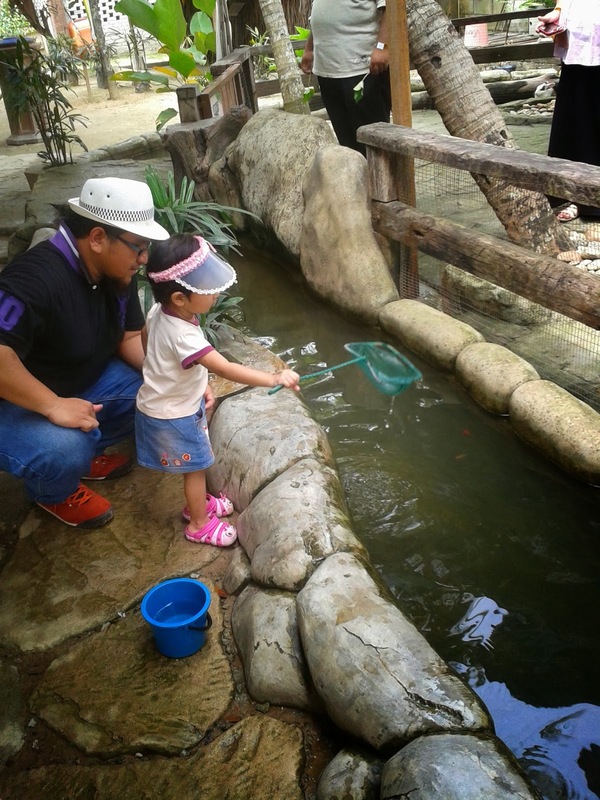 Aulia' tried to catch the fish at the Pet Village and feed the rabbits. 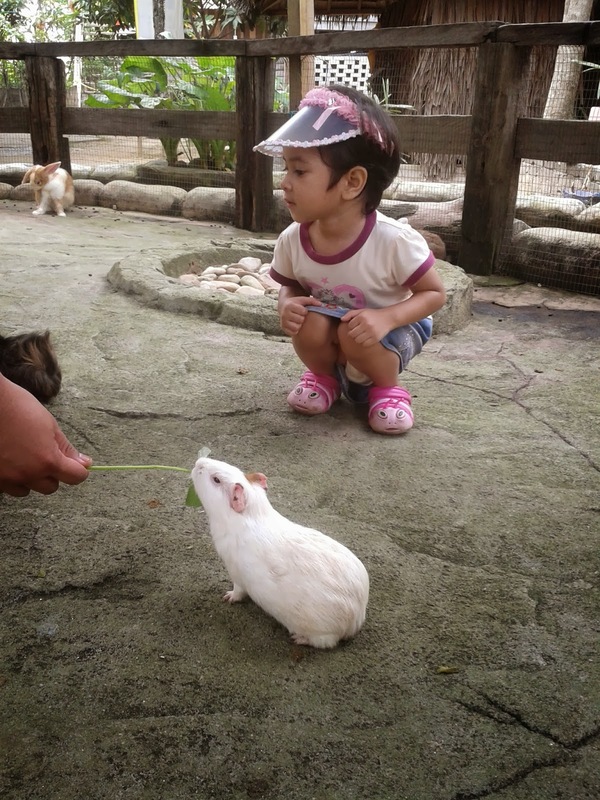 There are also hamster and guinea pig. They are too cute!! 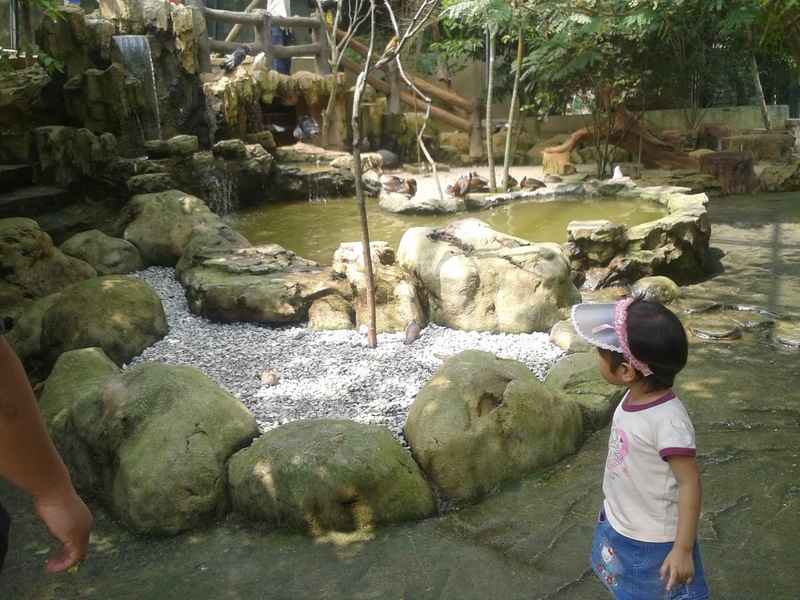 This is Jungle Walk section. 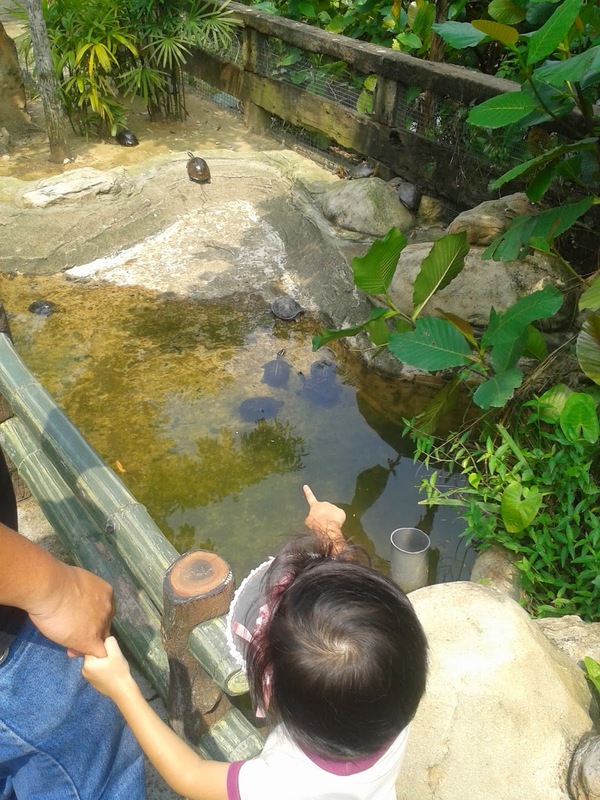 We saw Marmoset, African Crested Porcupine and Iguana. 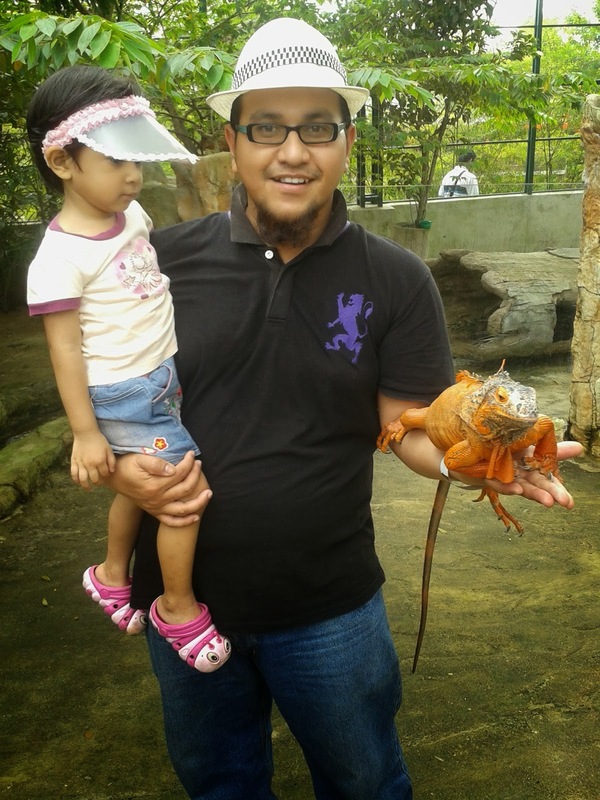 Hubby was so interested with the Iguana that he took photo with it. Before we left, we briefly checked out the Horse Stable where the farm has two cute ponies. 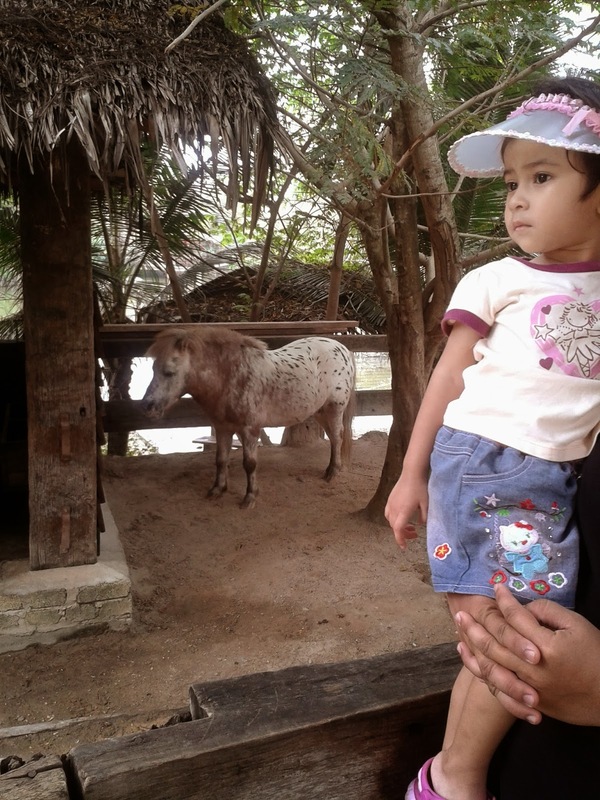 Aulia' was too small to ride the pony so we ended our visit after taking few photos. Lot 40187 - 40188, Jalan Prima Tropika Barat, Bandar Putra Permai, 43300 Seri Kembangan. Wed-Fri: 10.00 a.m. to 6.00 p.m.